On Wednesday 31st October we attended the "Flame of Samhain" festival in Athboy, Co. Meath. 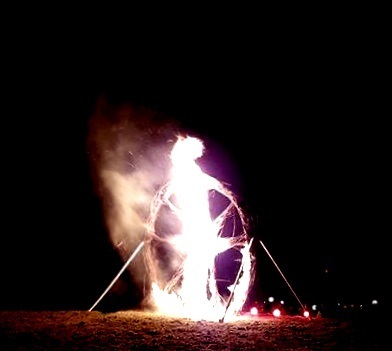 This event was also open to the general public and started with a meeting at Fair Green before a procession to Tlachta ( Hill of Ward), where it is said that the tradition of lighting a bonfire to celebrate Samhain originated. Our group met first at the Topoil service station,Athboy at 6pm. When we reached the Hill, there was a short meditation/ceremony to celebrate/commemorate our ancestors and loved ones who have passed on, before we joined in with the general festivities at the fire. 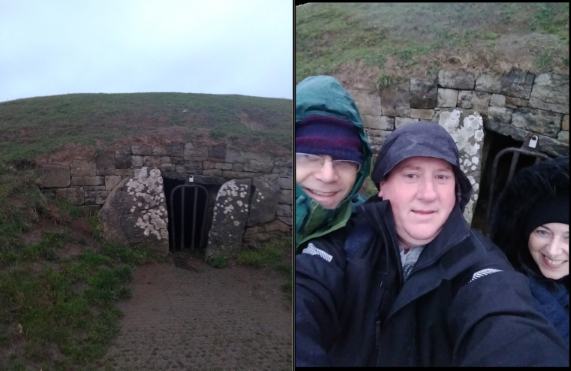 On a very wet Saturday 3rd November at 7am, we met at the entrance gate of the Hill of Tara. We then walked onto the Hill for a celebration at the Mound of the Hostages (which is aligned to sunrise at that time). There we celebrated/honoured our ancestors/loved ones who have passed on. and we finished - as usual - with the sharing of food and drinks. Open Heart Monday Meditation. This continued the format of the first Monday of the Month meditation when people bring along something that inspires them to share with others. Given the day that was in it, there was an opportunity to share in what had 'come up' for participants over the Samhain weekend. In the late afternoon on Samhain Eve, 31 October, we visited this peaceful beach, a few walking their dogs on the wide sands, others just enjoying the view. 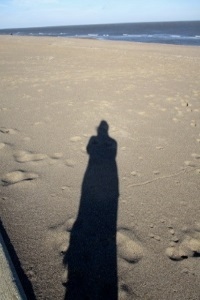 Standing, looking out over the wide expanse of soft sandy beach, we watched the blue North Sea as it gently rolled in, bringing ice-cold Arctic waters to our shore. As the sun set behind us, we thought of the long dark winter nights to come. We faced north eastwards, towards the rising place of the summer solstice dawn, knowing that after the hardships of winter, time's wheel always moves on and summer would return.